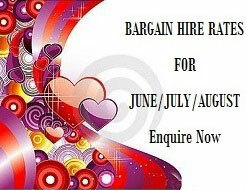 Hire cars are the most popular mode of wedding transport and the advantages of hiring are many. Besides the obvious benefits of luxury, style and appearance, there are some practical reasons for using Ace American Convertibles as a reputable car hire service. There's something unique about the ambience that's created as a bride arrives on her wedding day-the air is full of anticipation as everyone eagerly awaits the first glimpse of the bride. 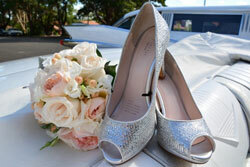 Deciding on the right transport for your wedding is not difficult with our classic cars. Our professional wedding cars are immaculately presented both inside and out, ensuring your dress won't get spoilt. We have been to hundreds of weddings with over a decade of experience. Our chauffeurs are professional, courteous and always anticipate your every need. We take good service very seriously indeed. Our drivers and cars are fully accredited by the NSW Department of Transport and we are also Members of the Vintage and Classic Car Hire Association. If you're wearing a large gown, our luxury hire cars are a definite plus, we help with your dress in and out the car and generally help out on the day. We are there to ensure that your day runs like clockwork and everyone is where they need to be, exceeding your expectations even taking care of the pre-wedding nerves. Ace American Convertibles continues to provide a high standard of customer service and our prices are affordable. It will be special and you will arrive in style it is that simple. We wanted to thank you for your exceptional service & support on our wedding day. We are forever thankful for everything! You made us feel like royalty in your stunning Cadillac's. It was as though we were with people who had known us for years; we were so comfortable riding with you both. We will be reminiscing about our wedding day forever and will always smile when we look at the photos in your beautiful cars. You are lovely people, you make the day very pleasant. Be sure to check out our wedding page for more photos of our stunning cars and testimonials from recent occasions of satisfied customers.